Aaand, it's a sad day in Splitsville. 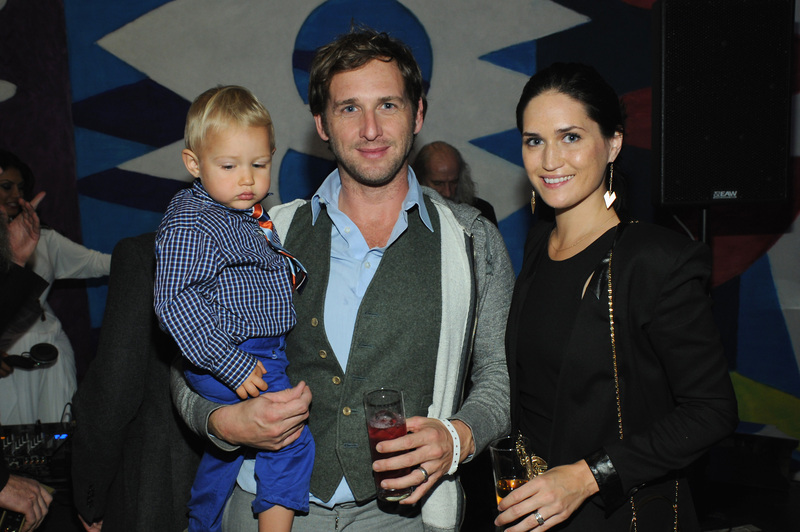 The Firm actor Josh Lucas is getting a divorce from his wife, writer Jessica Ciencin Henriquez, after two years of marriage. According to People, Henriquez filed for divorce earlier this month, but she's only recently gone public with the news. It's a sad end to what appeared to be a fairy tale beginning — a chance meeting in the park, getting engaged six weeks later, and a quiet private, wedding back in March 2012 — but the couple had their ups and downs. In September 2012, Henriquez openly discussed her diagnosis of cervical cancer with the Huffington Post back, noting that the pair's relationship grew throughout her illness. According to Henriquez, she "felt like there was 100 percent commitment and support during the whole thing." The reason behind the split is unknown, and Lucas' reps have yet to speak out about the filing. Lucas and Henriquez have one son together, Noah Rev Maurer, who is 19 months old. So, the actor who appeared in such hits as American Psycho and A Beautiful Mind might be a bachelor now, for sure... but I'm sure he's still healing, so tread lightly in your celebrity fantasies, ladies!